Zheng Xiaoqiong (郑小琼) was born in 1980 in Nanchong, Sichuan. In 2001 she left home to work in Dongguan, Guangdong, and began writing poetry. Her poems and essays have appeared in various literary journals, including Poetry (《诗刊》), Flower City (《花城》), and People’s Literature (《人民文学》). She has published over ten collections of poetry, including Women Workers, Jute Hill, Zheng Xiaoqiong Selected Poems, Thoroughbred Plant, Rose Manor. 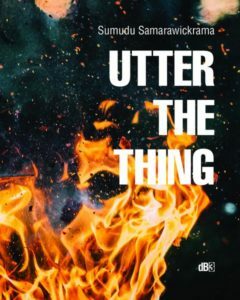 Her work has won numerous awards and been translated into many languages, including German, English, French, Korean, Japanese, Spanish, and Turkish. The dusky locomotive sobbing drips and drops, among the murky mountains veiled beyond the smog. Passing by the lights on the Beijing-Guangzhou Track, by the villages of slang borne to crops, it reaches the end of the line first. Splashing millions of shivering migrant workers, hitting their heads, the raindrops refuse to stop. Trees, villages, retreating mountain slopes, slow toiling labourers. Outside the glass of illusions, weeps a weary, polluted river. Night penetrates the carriage from the front. Between the tracks in the black rain darkness swells. I look at the passengers sitting opposite, in their homecoming sartorial splendour, miserable, exhausted, dripping resinous sweat, drop by drop, clear and bitter, rain-washed. Through the windows, mountains and rivers whistle past, through the stamping marks of rain, heading north. Bureaucrats are carving up land as collateral for concrete, steel, chemicals, and capital. Trees with broken limbs and hills half hewn are the last ransom. Behind them, a crowd of commoners are raining tears. Watching the train. Watching rainwater. Watching the motley carriage. Hearing the train’s fierce shriek. In this world, people are mortgaging everything like gamblers. I’ve pledged my itinerary to the trainline, my painful life to illusory aspirations. Inside the dictionary is a periodic table from Xia Dynasty to the Republic of China. Across Han, over Tang, onto Song, then Qing, my trip reaches Hunan, into Guizhou … Will the slow train ever arrive at its destination? Rain falling, villages retreating. Time past is buried in the journey of this train, never to be seen again. Mountain Ghost hides under the concrete floor, among chemicals and pesticides for crops, in the city left behind by warriors once clad in leopard skin, though the bones of the last leopard are long gone. Rivers retreat, and the calamus, and the wormwood. A lotus blooms inside time. The sun, moon, and stars; the wind, rain, thunder and lightning; the four seasons, the seas of clouds and the infinite skies – all become an arrow. It flies across swamps and wells, meadows and houses, doomed birds, beasts, bugs, fishes, flowers, trees, and vines, aiming for a relatively peaceful destiny. Goddess of stove and chicken coop, you give birth to the demons and spirits, and the Bodhisattvas and dead souls in folk song and dance. A sullen bird flies deep into the lake. It comes from the past, with the face of a beast. It drifts along the Beijing-Guangzhou Track, out of Chuan, into Chu. Bearing an original instinct, it returns to the phoenix form. The Old World is too distant now, a few reincarnations removed. All that remain are indistinct memories, like the beastly and humanly patterns amid the branches of a chinaberry. Reaching Chu, she has restored the gaze of her former life. A sorceress or a witch, in the voodoo vapour, memories of her turned into mountains, rivers, colloquial vernacular. Candles burn up her vertebrae. Ancient recollections fly from the sky, over the dry sandbanks of Dongting Lake. Sprinkled with white time, a legend, three tons heavy, slides into water. Her white wings soar into Chu, into its firmament, its cosmos, sweeping over traces of sorcerous souls in the surf of light. Everything is breathing, conceiving, burgeoning, birthing. Reaching Chu, her dark memories reconnect with history, recovering the untouched spells and folk lingo. Hiding in the mortal world, she’s shrouded her wings over a thousand lives and veiled her beastly face. Remnants of her memories linger in recurring dreams. Ten thousand mountains sink into the night. Snow is the only noise, whitening the dark. Oak on the hill rears into a beast. Dripping droplets knock down chinaberry’s fruit. Beech’s former life was a bright moon. Catalpa dreams of King Chu and floating clouds. Camphor laurel frees itself from a dream and comes to the courtyard. Hawthorn, left behind, lights a lamp on the side road, illuminating hometown and riddles. Autumn falls to the ground and grows into bellflowers. Summer’s chestnut forest partitions between past and future. Elm’s knot is the solid here and now. Thorn-elm casts its longing into the distance. Arrowroot has endured your sorrow. Last year was just the other side of camphor laurel. Black locust blooms. Pine mourns someone. The relationship between them seems a dream of mine. Rain descends beneath the grape trellis. White poplar stands between gleaming train tracks. I dream of Master Zhuang and butterfly. Must call on the Duke of Zhou, the God of Dreams, to interpret for me: last night I used walnut wood to ward off a surging sea. Such is a worldly life, from nothing to something, from mortal to mortal. The last magpies slowly gather on pear tree, shiny, chirping, like those innocent days, staying briefly before flying off, leaving a tree of white blossoms, which then fade. Mao bamboos have endless sentimentality. Their grief turns the nights and days green. Fir forest by the road, established and settled, is waiting for something. The stars and the moon drift like yellow leaves, like a river in a mirror, looking for its way back to the sea. I wait for a parasol tree. While the bustling has dispersed, I remain, formerly a lonely phoenix. Hornbeam, unmoving between memories, its face everchanging. Cypress stands at a grave. From stone verandas to winding paths, dense gingko trees transport October’s light and shadow. Their silver flowers bloom thirteen lives’ solitude. I was a tree for twelve lives before becoming this traveller. I was silent for twelve rounds, and amassed too many words. Under white moonlight, three ice laurels flower in the courtyard. Upon the bluestone slate, Tang Dynasty roofs drip onto Song carved dragons. Giant stars illuminate Ming rivulets. The everlasting flora flourish and fade like history in red dust. A shabby scholar is reading Qing octopartite essays. Fish jump, birds sing, flowers bloom, tiger roams the village hills. Some discuss the past in the Jiaqing Era, and recount Emperor Qianlong’s three visits down the South Bank. Some sit under the pagoda tree in the courtyard, speaking of the harvest and the ghosts and spirits of karma. Time, laden with sadness, condenses into dewdrops on the celosia at dawn, and at night shuffles among the agonised constellations. Men smoke tobacco and plant crops and vegetables. Peach flowers open bright. Shaved hair falls at ordination. Women are spinning yarn, weaving satin splendid. Partridges cry mournfully, and the thousand miles of fallen red remain silent. He rode a donkey, arrived at the capital, read Four Books Five Classics and Chu Songs, studied dynasties, emperors, kings and their courts. Life in the scriptures began to shrink, thin as the donkey’s rib, thin as the gusty wind on the ancient trade road through the fir forest. Riding the Yellow River and the Long River, riding autumn wind and setting sun, riding trees of dry branches and sorrow. He rode a shallow strait, a life of capricious easterly wind. On the theatre stage, people simulate joy and love, good and evil. It’s collapsed, down in the cold of the snow. I sit on the forlorn path, watching sunset in dejection, watching time rolling by. The pagoda tree is still lush. The red toon still blooms. The swallows return to nest on the old beam. 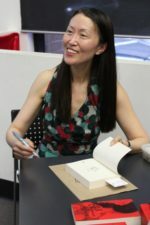 Isabelle Li is a Chinese Australian writer and translator. 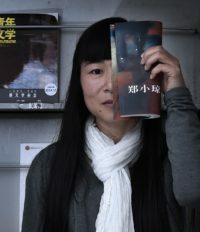 She has published in various anthologies and literary journals, including The Best Australian Stories, Southerly, and World Literature in China. Her collection of short stories, A Chinese Affair, was published by Margaret River Press in 2016.